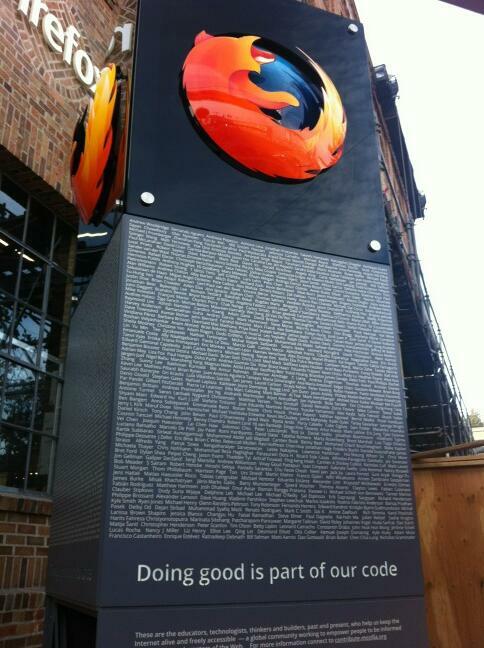 Outside the Mozilla office in San Francisco stands a beautiful monument thanking all the people who did work with Mozilla to keep the web open, secure, inviting and beautiful. Overall, this is 4536 names on four sides with two panels, which means your name might be hard to find. Fret not, for Chris More released a dataset with the names and their locations on the document. 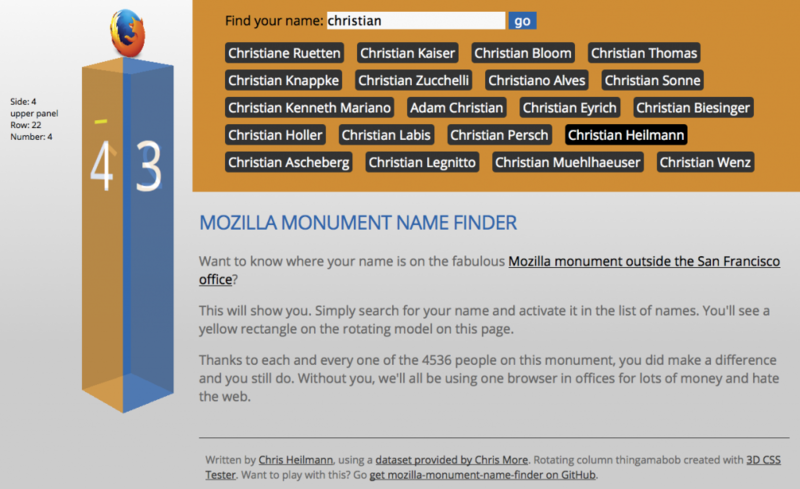 Using this dataset and some CSS 3D transformations, I am now happy to give you the Mozilla Monument Name Finder. You can see how it works in this screencast. The light-weight, Firefox OS friendly mobile version – also works offline. If you want to see the real images, here is another hack using the original images! Again, a huge thanks to all the people who helped Mozilla become what it is! Here’s to you!